My son the scientist once said to me, “I found it, because I believed it was there.” Good scientific research, good science, begins with a reasonable hypothesis. Sadly, all too common today are unreasonable hypotheses, particularly regarding variability of global climates. For example, a National Geographic article attributes recent and numerous shark attacks on “global warming”. Well, not exactly. Is the average temperature of north Atlantic waters rising? Yes. Is this temperature rise due to human activities? If yes, then to what do we attribute fossilized tropical plants and animals in Greenland? What’s this?!? Do slightly warmer waters draw sharks into the shoreline? No, hunger does this. Temperature affects which species of shark may be feeding along our eastern seaboard, but there are forever sharks there. In fact, forty-two (42) species inhabit Atlantic waters along our east coast [Reference: Shark Foundation – Sharks of the Region: “East coast of North America”]. Some are harmless to humans, others, like great whites, indifferent to items on the menu for dinner, feed on human limbs as quickly as on cute little seals. 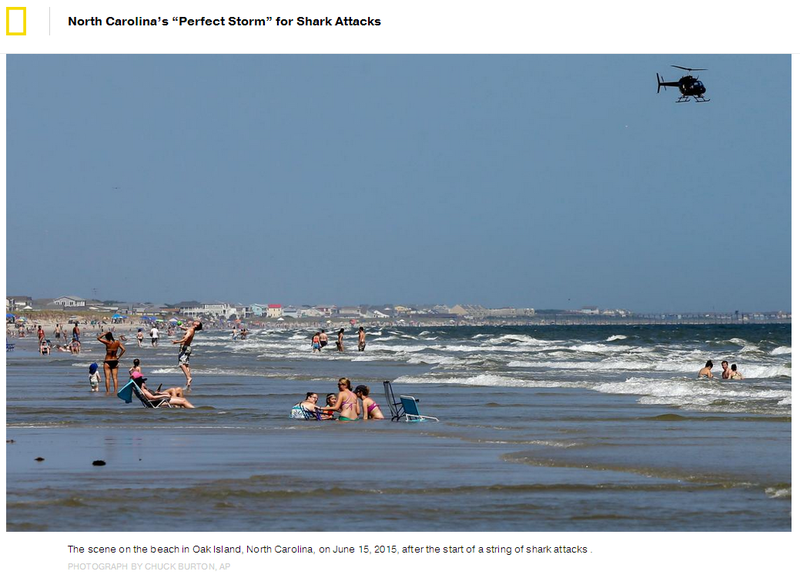 In my opinion, the chief reason for more reported shark attacks is the foolishness and/or ignorance of beach-goers. Down in the land down under, surfers risk their lives for the thrill of catching a wave. When a great white takes a bite, usually fatal, news services express surprise. Oh, well. Gradual temperature swings are natural, normal reactions to changing solar conditions. Solar cycles run eleven years. The word of the day is Ratiocinate verb intr. : To reason, especially in a methodical manner. This scientific video report on cooling and heating cycles correctly points to the Sun as the main supply of energy to the earth’s climate system. Amazing things happen to us when we think. Therefore, think. As God said to Hosea, it is our profound ignorance that places at risk our lives, our fortunes and our honor as a free nation.